From the previous post about Cinema Festival you probably understood the Malaga is very well known by cinema and its special dedication to it. Malaguenos are so into watching movies and spending their free time outside their homes, that Malaga is providing them with Summer Cinema through the entire month of July each year. Open Cinema in Malaga is also known as summer cinema due to its concept. Festival of Malaga is offering a unique possibility to all Malaguenos and the visitors of Malaga to enjoy the warm summer evening by watching movies at the beaches, parks and other open areas of Malaga. The event this year offers 21 different places which attract the incredible amount of cinema lovers. Movie sessions are held in Albeniz cinema, San Miguel Park, Malagueta beach, Muelle Uno, El Dedo, El Palo beach, and many more places. 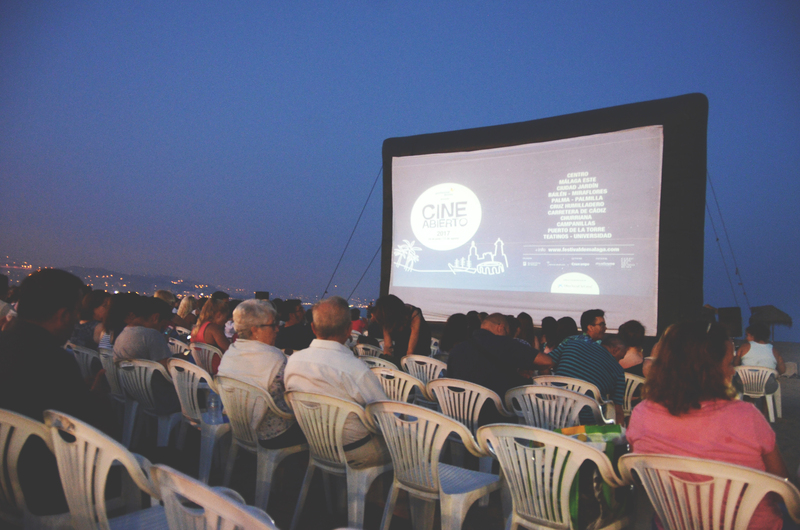 The Summer Cinema every year counts with more than 60 000 participants which are believed to be even higher this year. The open cinema takes place not only one day, two days, and not even a week you are able to enjoy it over a month. This year the event started 3rd of July and will last until 10 of August. Thus, you have more than enough time to attend a couple of sessions of your favorite movies. The Summer Cinema is offering a great variety of genre of movies. Animations, Crime, Drama, Thriller, Comedy, Romance any type you could imagine. Adults this year should be super happy with the variety of genres. The open cinema will count on the comedy Eight Catalan Surnames, action Sci-Fi X-Men: Apocalypse, crime and drama Toro and tons of more. Kids and families with little ones won’t be left out as well. Angry Birds: the movie, Alvin and the Chipmunks: The Road Chip, Kung Fu Panda 3 and many more successful animations are going to be available during this year. Ready for the movie night? Before here are few extra things to know about Open Cinema. First, great news the sessions are completely for free! Go and enjoy! Second, since it is free do not expect the newest movies to be shown. However, count of very great movies from previous years. The list is giant!